Chizobam Ofoegbu also known as Chizobam Enari Ofoegbu is the first of four (4) children, a mix of Igbo, Akwai Ibom and Togolese descent. 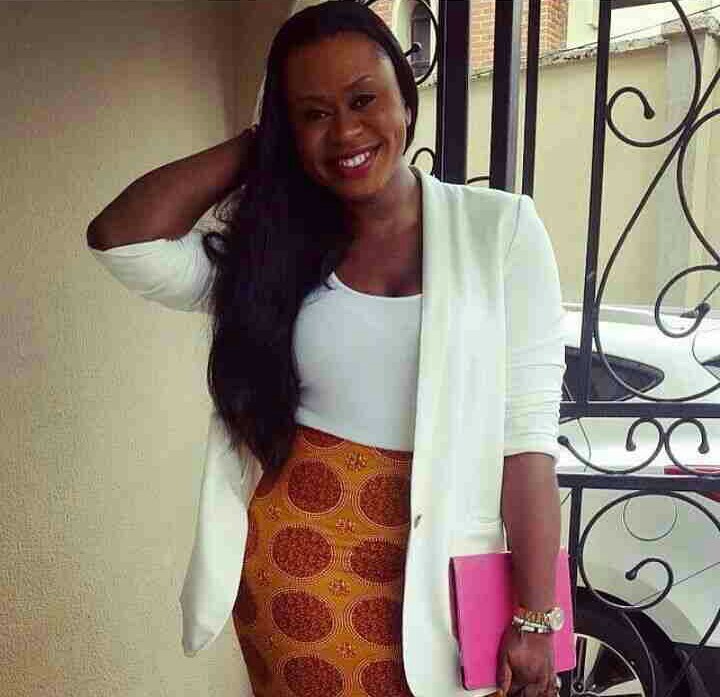 She started her professional beginning in Media as a producer and presenter for five years with the Nigerian Television Authority (NTA) and was also a radio host with an online radio station. 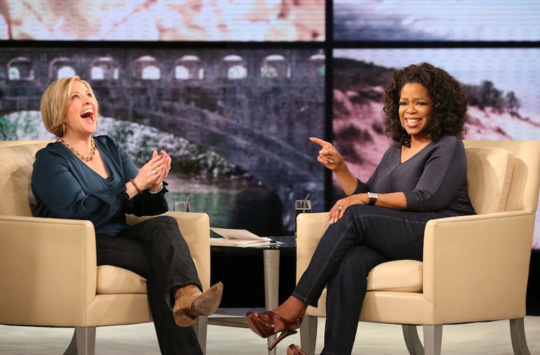 She is vividly passionate about helping women build emotional strength, mental capacity and strength. A victim herself of early and prolonged sexual and verbal abuse, she suffered a maniac depression characterized by suicidal tendencies, and she lived most part of her life deeply broken until the love of God found her and there her healing and ministry began. 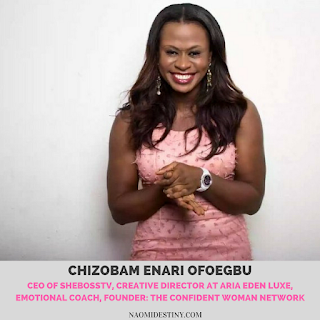 Chizobam is the CEO of SheBossTV, a Content Producer, the Creative Director of Aria Eden Luxe (a fashion brand), an Emotional Coach, and founder of The Confident Woman Network (TCW). She shared a whole lot with NDB (it's an inspiring long read), talking about TCW, her personal relationship with Christ, the journey so far, the key attributes that have helped and shaped her process of becoming, and of course her idea of the Proverbs 31 woman living in the 21st Century. I learned so much and I was sincerely wishing we had the option and opportunity of recording a video section of all that was being said but hey little by little we are getting there. Do enjoy the rest of the interview! 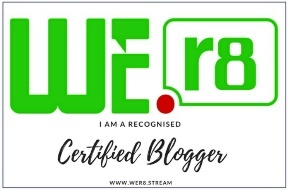 Welcome to the blog Ma! 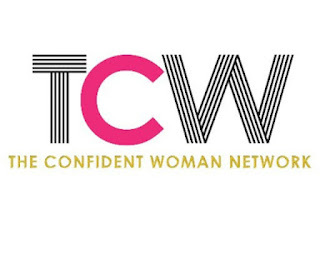 We so much love what you are doing at The Confident Woman Network (TCW), can you please tell us more about it and what it stands for? 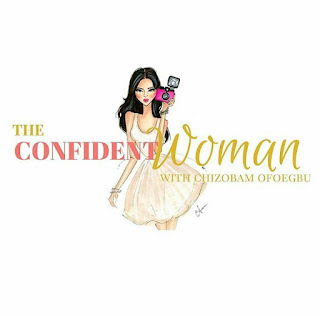 The Confident Woman Network is a platform I created because I realized that the number 1 equation in life for any kind of success is confidence. And I also realized that we have been taught over time, certain faults meaning to definitions of confidence and I wanted to correct that because I looked at my own life from the past twenty something years of cognitive living and I realized that I myself was living the lie that had been sold me to what confidence means and it had gotten me into a lot of trouble. 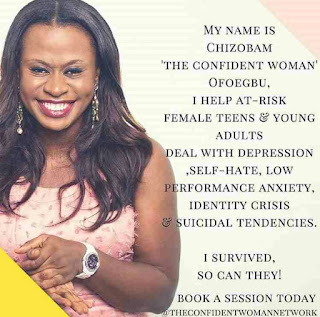 I looked at my life critically and the lives of other women that have been friends of mine over time and I saw that there was something wrong with our understanding of the word confidence and because of that wrong definition, our emotions and our mental health is suffering. We were taught as human beings that confidence should mean being bold, speaking well, looking good and all these things, you know, but I spent most part of my life doing all those things. There is no crowd or person that I cannot talk to, but I realized that the more bold and courageous I was being, the more sick and unhealthy the state of my mind and mental health was, and I had to sit back and say, what's going on? And I'm a very spiritual person, so the Holy Spirit said something to me, He said; confidence is not about what you do on the outside, confidence is about who you are on the inside and not just who you are because we hear that cliche and it's becoming such a broken record, but it's about sitting down and finding out who you are, who you were designed to be. You know, life is a transition of who we become on our way to who we are meant to be and I might go a little bit philosophical with this, none of us are living the life we were designed to live (frankly speaking), a very few of us have awoken to that realization and have taken the bull by the horn to say you know what? I'm going to find out the kind of life that was designed for me divinely by God for me to live and I'm going to start living that life. When we came out as children, circumstances happened and then we start to form behavioral patterns and form character patterns but those are not the real character behavioral patterns we came out from the womb with. You come out at the age of 6, you are abused. At age 7/8 you're raped by someone or something and then who you are designed to be is gradually being moved out of the way, now you have to come up with defenses and you become a whole new person because of this traumatic experience and that new person you become may be the person you live out your whole life as. It doesn't necessarily mean that's who you are designed to be because sometimes the life we are living are the lives that are a product of our circumstances, and I called that kind of life 'a conditioned life'. "Confidence is not about what you do on the outside, confidence is about who you are on the inside." So I looked at my life and looked at the lives of many women and I realized that we are living conditioned lives not our divinely designed lives. The life some of us are living is so different from the life God planned for us to live. There is a plan of God for our life and there is the one the devil comes and orchestrate in our lives and you know I had to sit down and say No! No! No!, we need to sit down, find out who we were designed to be and we need to start working towards it. We need to make a conscious resolution to say I'm going to dedicate my whole life, my time, my energy, my resources and everything otherwise to start to live that life, and then we need to also learn to be kind to ourselves because it's a process. A lot of us look at some people and go oh well how were they able to climb this mountain of forgiveness? Some people are able to let go of certain things that were done wrong to them in their past easier than other people. So, I define confidence as this 'confidence is finding out who you were designed by God to be and honoring, loving, celebrating, and being kind to yourself during the process of transitioning from the person you have become on your way to becoming that person God has designed you to be.' Being kind to yourself understanding that it's a journey to school or a course that you haven't taken before, because you're going to have failures and you are going to fall. But, that you failed doesn't make you a failure, and so I realized that this is the work we need to do as women and I said I need to start the confident woman network to make women understand this. I started the platform to correct a lot of myth, a lot of falsehood around a woman's emotions and confidence as regards women. 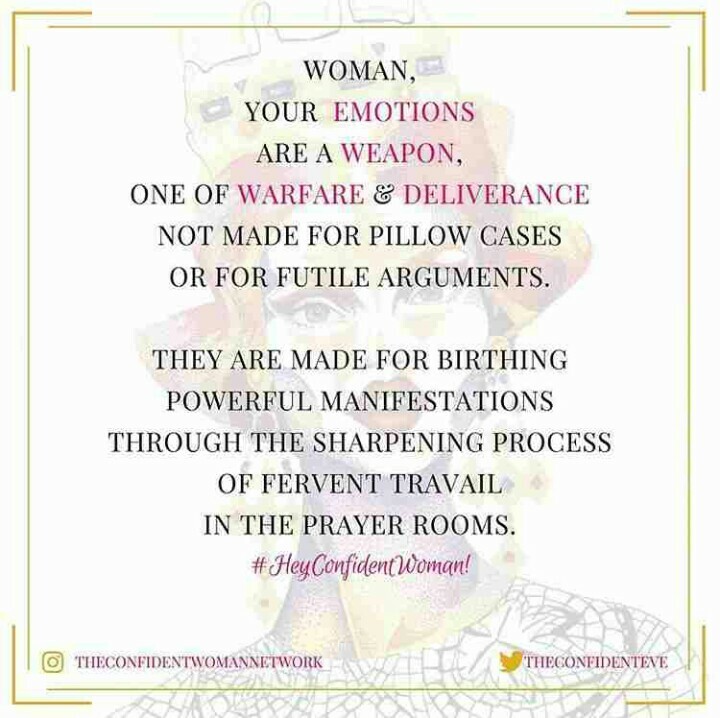 So that's what the confident woman network is about, it's about helping women build the right kind of confidence and achieve emotional maturity and mental consibility. And I also noticed we go through life padding, i.e we don't deal, we numb ourselves. Something happens, we don't want to deal with it, it's like an addict, someone who doesn't want to deal with the situation at hand but is going to look for external forces that will help him feel better. So many of us go through life numbing our pain, numbing our experiences, not wanting to touch those experiences, and so we don't even learn from those experiences and then we become casualties of ignorance. If something happened to you, it's not because God wants to punish you, it's because there is a lesson He needs you to learn from it so that you will be a ray of hope and light and a way out for some other women who may have to go through a similar experience or might be on her way to that kind of experience, and you just might be able to help her from having you experienced it, in order to stop her from making same mistake. A lot of us want to be useful to people, we want to help as Abraham said 'I wanna be blessed Lord but also to be a blessing' we all want to be a blessing to people because we have a heart of compassion naturally as human beings but we don't want to do the work and the number 1 work that needs to be done is that you will have to go through process, the pain of your own. As a Content Producer, founder of TCW, CEO of She Boss TV, Creative Director of a fashion brand, and an Emotional Counselor or Coach, how do you keep all these together? How do you balance your work, spiritual, personal, and social life? What key things have helped you so far? There is really no balance! What I've learned is, you don't balance it out. What you do is, you get a firm foundation. The bible says: if the foundation be faulty, then a man is doomed. We are looking for balance instead of getting foundations rights first. Balance will say 50/50, 20/20/20 %, No! What I discovered and what I implement is, getting the right foundation and also make sure you get that foundation really really really grounded. So my firm foundation and building block is the spiritual. God is my anchor, I have God 70% and every other thing is 30% because I have a very short intention span and I tend to get bored easily. So imagine me not making God the anchor, I would decide to do this, this, this, and that. You know, that used to be my life and so when I found Christ, I discovered that if you make Him number 1, every thing else is sorted because we need to really understand that. We live out our lives as though we are the ones orchestrating the standard, it beholds upon us to make our lives something. No! The bible said; 'He is the end and the beginning, He already knows the end from the beginning because He has already orchestrated our end from our beginning'. So there is nothing new you're going to do. All you need to do is, understand that this life you are living has already been lived out for you and so find out what you need to do to be able to fix yourself well and walk according to the path that He has fashioned for you. You need to go back to the source, go back to the builder and align yourself with His will. A lot of say we are searching for purpose and I'm like 'if you are searching for purpose outside divine purpose, you are already on the path of failure'. Divine purpose is the only purpose! And when I discovered that, life became really simple for me. So there are days I wake up and what I feel the spirit tells me to do is what I do. A lot of people run through their Instagram pages and everyday they must post something and I was trying to follow that and I said you know what 'God I'm really not that kind of person' and I'm not going to wake up everyday and just put something up because I want to put up something. If I put up something on my wall, it's because I want to put it and because my heart so believes in the message. So that's how I balance my spiritual, social, career, personal life, by making the spiritual my foundation. I don't look for balance, I find foundation first and everything else works out through that foundation. "Divine purpose is the only purpose." What birthed TCW? What has been your major driving force? As a Content Producer, founder of TCW, CEO of She Boss TV, Creative Director of a fashion brand, and an Emotional Counselor or Coach, how do you keep all these together? How do you balance your work, spiritual, personal, and social life? What key things have helped you so far? It irritates me when I see a woman who doesn't know her power. And I want to use a kind word but I'm writing a book now titled 'take yourself by the horn' you know there is a phrase that says, take the bull by the horn. So basically, it makes us feel as if we once again need to go outside of ourselves to set some things straight on our inside, no! Everything you need to make yourself a better person, everything you need to live a more fulfilled and purposeful life, everything you need to live a confident life is on your inside. A lot of us are running away from our inside to the outside, there is nothing your outside can do for you if your inside is not attended to. So I looked back at my life in the many relationships and useless ones I engaged in and hating the time I was trying to numb instead of deal...and I looked at myself and said 'what a waste!'. For the many times I gave my power to someone else for them to manipulate and use against me. For the many times I lived as a spectator in my own life, I looked back at those moments and I hate myself for it and up I go, I'm not gonna sit back here and watch some other woman do the same thing. Another thing for me is, who are you? what are you called to do? what's your divine purpose? We as women, our number 1 calling is the ministry of reconciliation, which is to win souls. Second is to be mothers, to mother/train/nurture children. And I said, we're not going to make wonderful mothers if we continue living our lives as spectators, waiting for white night or a night in shinning armor to come, or prince charming to come and take us out of the misery in our lives. Hell no! We are our own white night! That's why I started the confident woman network to understand that we need to be very careful of what we pass down as legacies to our children especially the female child. A lot of us fantasize and dream 'I can't wait to have my kids' and I ask them, what are the preparations you're making right now for those children who are coming? What preparation are you making so they will have wonderful lives? So they won't go through what you went through? So you won't transfer your misery, hatred, anger, bitterness and your jaded views of life to them? It's not just saying it or just making positive confessions, it's not in wearing the same outfit or twinning with them, it's not in sending them to the British international school, that's not the show of love. It goes beyond that, you got to do the internal work! The show of love is how much spiritual work you've put into their life before they came into the world. So that's basically what TCW stands for, bringing women to that point of understanding that the work begins with us. We are not called to fall in love as women or about saying, this guy is so hot, 6 packs, everything, he treats me kindly, Oh My God, I must marry him, this and that. No! We as women have the gift of perception and intuition, we are able to see ahead and know, just feel basically what the future is going to look like and so when you're with a man, it's possible to know ten years ahead what he is going to be and how he is going to manifest. And we already know, but we close our eyes, but if we truly believe and are honest when we say we want to raise beautiful, wonderful, well adjusted children, you will take more time in partner selection. He may love you and buy you all the gifts but judging only how much he will love you is just a selfish act. How much will he be able to love, sacrifice, and be present for your kids? Will they be good parents to our kids? Is he the kind of person that seeks out your opinion and honors it when it's given? That's the most important thing to look out for when choosing a life partner, because it will reflect on your children. So, that is really my driving force, just being infested in raising; socially, spiritually, emotionally, and mentally aware group of women. How did you come to acknowledge the love of Christ? And how has your relationship been with him on this journey? 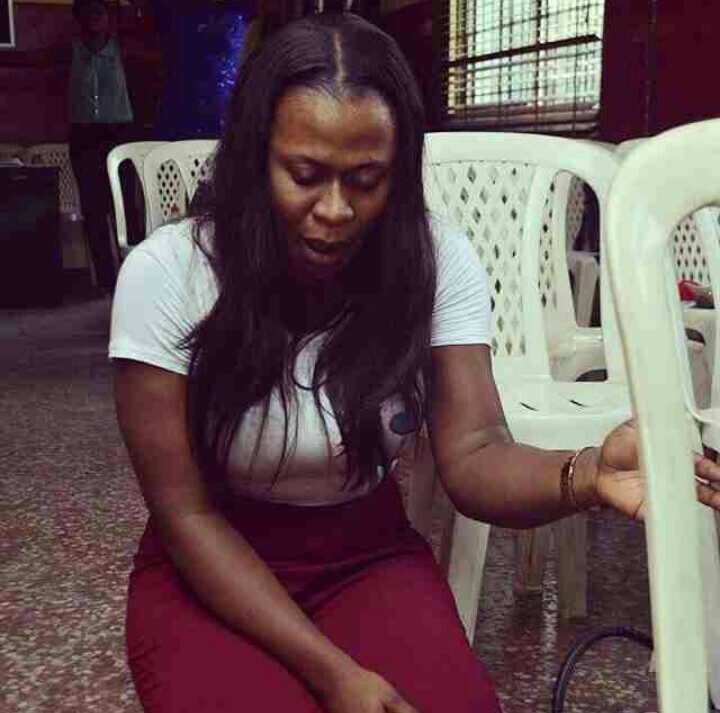 I gave my life to Christ in 2013 and yea my life took such a wonderful amazing turn. And I tell people, Jesus Christ is my one and all. I call him my only Nkem (My own). He calls me my only Nkem and I call him right back 'only Nkem' He is my own, nobody else, I'm so jealous with Christ (laughs and smiles). I love to talk about Him but I'm so jealous about Him and He is so jealous with me. I've had so many amazing encounters with the blessed trinity. Errmm...how I came across the love of Christ was during my time of relationships gone bad...you know...and I realized there's this beautiful amazing being out there who is so eager to date me, so eager to court me, who calls me His bride when I'm certainly and obviously not worthy to be called His bride. A man who died on the cross trying to toast me, everything He does is a love proposal to me. And I was like this is such an amazing being, who wants to have a conversation with me and I've been shuttering him out for the most parts of my life. Why? Am I Stupid? You know...and...so for me...it's such a wonderful loving relationship with God. It's not formal, my love and relationship with God is not corporate, it's beautiful, it's child like (sobs and smiles), it's best friendy, He's my everything! When I tried to commit suicide the many times I did, He made me realize, He was the one who kept me alive because I spent all my life being angry at Him. How would you sit back there and watch me go through all of that? But when He opened up my eyes to the fact that 'I entrusted those experiences with you in your hands because I knew you could take them not because I knew you could handle it alone but because I knew that when you go through them, you were going to make sure that you turned it into a ministry'. So, a lot of women who are going through a lot of things and instead of them turning it into a ministry (i.e using it to impact the lives of others) they just shut up. We don't want to go back to that pain to say and ask: What's the reason behind me going through this? What does God want me to get out of this? Yea! It's not always easy...trust me...there are days when there are dry moments, desert moments (laughs), days when I get so preoccupied doing something else, not giving God as much attention as I should and I hear the Holy Spirit saying to me 'Chizobam I miss you, this isn't how it's supposed to be'. And I go back to say oh...I'm sorry! Well, there are many dry spots in my relationship with God but just knowing that 'He is not just God to me but also a father and a friend'. So I can pick up the phone to say; Hi God, I know that I've not been around for a minute and for a while but I'm back here now. I know that I'm loosing my way, I need you to put me back on the right path. It's been such a wonderful relationship with Him really! What skills and qualities have shaped and distinguished you so far along your career path? Empathy! I'm a very empathetic person, you cannot do what I do without being empathetic. There is a lady I love and I listen to everything she says because I believe it's the Holy Spirit speaking through that woman even if she doesn't know yet. 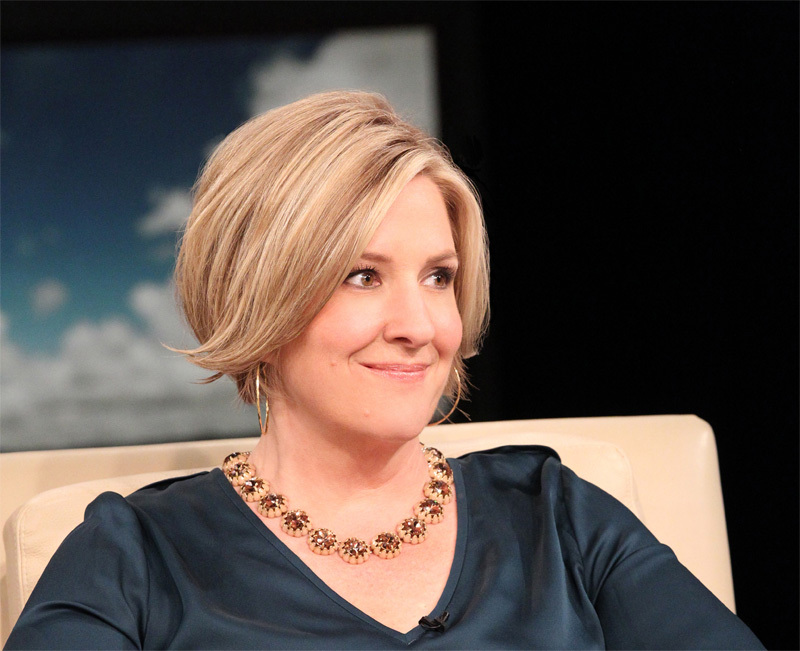 She says, "the most empathetic people are the most boundary (ed) people" - Dr. Brene Brown. And I looked at myself and said yes! Because, you will hear me talk about protecting your space, put up walls. If you're going to live a really good and fulfilled life and a life that's going to be a blessing to other people, you're going to have to live with boundaries. So I watch the kind of people I bring into my space, if negativity is brewing around me, I shut it outside and I shut the people out with it. I engage in throwing the baby out with the bath water a lot because there's no time. I've got to put myself in a positive space if I'm going to be of help to anybody and I always say this; 'Chizobam you are an holy ground, you're an holy ground'. See what God told Moses, remove your shoes, do not bring your negativity or Egyptian way in here, do not bring your mindset, just come here bare! Eager to know only me! Simple! So, if I allowed just any kind of person come into my space with their dirty sandals and all; when they leave, I'll be the one feeling so bad, so down, so depressed and then a whole week goes and I will be shut down because I'm easily prone to depression. And therefore that means, for the week I was shut down, several lives were also at risk of depression because I wasn't there to help them through their process. I make sure that anything that is going to take me away from the positive zone, I kick it out of my life and I stay away from it. A consistent, genuine, honest relationship with God. I do not joke with God and that's why anytime I'm doing something, I always ask, God how does this tally into what you want me to do. Boundaries! Like I mentioned earlier, I engage in setting boundaries and it's not by isolating myself. Dr. Brene Brown says, 'what boundaries do I need to set in place to remain in my integrity, so that I can continue to make generous assumptions about people?'. If you want to remain a woman of integrity/empathy/authenticity, then you have to set boundaries to say; this is not okay or I don't accept this, when you do what is acceptable and get your acts right, I'm here. What is your idea of a Proverbs 31 woman living in the 21st Century? Is it really attainable? It is attainable! We have to understand that the Proverbs 31 woman is a goal, it's a vision, it's a destination, it's a journey for every woman. So there are going to be failings along the way, nobody has all the qualities, trust me. And even if they have all the qualities, they have it in 50/20/60 %, do you understand? It goes back to what I was saying, get a foundation, it's not about balance, it's about getting the foundations right. When they are building a house, they don't put all the same amount of cement they put in making the foundation in making the pillar. Much more cement goes into making the foundation because if that foundation is faulty, the building falls. We always major on the minor and minor on the major when we are trying to do certain things and that's where we always go wrong. It's not proportion or balance, it's foundation. A lot of us are trying to attain the Proverbs 31 status on our own, by our power and our might and by our limited understanding of the word of God. The Proverbs 31 ideal is only going to be attainable when we turn back and start to treat God like our husband because He is our first husband. So the Proverbs 31 woman says, she gathers her household to work and everything, ta da da. Basically, it's purpose! It's ministry! I always tell people and they wonder when I say; my family in Heaven is more real to me than my family here on earth. That's because we have God as our father in Heaven, an elder brother called Jesus, and the best friend called the Holy Spirit. And then we have brothers and sisters, brethren, the 24 elders, siblings, in Heaven. We forget that we have a family in Heaven which we do not cater to, so when we wake up in the morning, what's the food? 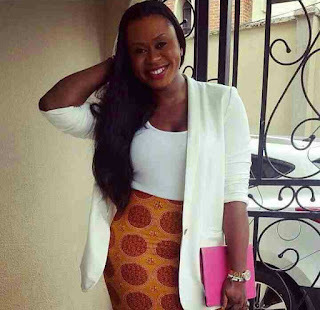 Heaven doesn't need our Nkwobi, Moi-Moi, or Isi ewu, no! What work and effort are you putting into the ministry God has given you? Proverbs 31 talks about. she wakes up in the morning and make food available to her household. So what food have you given your family in Heaven this morning? You know the request of Jesus, have you asked him, what do you want me to do today? And then when you find out, what effort have you made in achieving that goal? And knowing if you should do it alone or ask for help? And also knowing what kind of work you need to do? And you know...you can't run ministry without finances or money. It's basically the same thing, waking up to your earthly husband and your children and knowing what they should eat. So what kind of efforts are you putting in? As an entrepreneur, as a career person to make money? Are you investing in business, in housing, or this or that? What dividend are you getting? What profit are you making and how much of that profit are you making to send back to further the Gospel? If we start to look at ourselves as brides of Jesus, then being Proverbs 31 women will be more attainable. 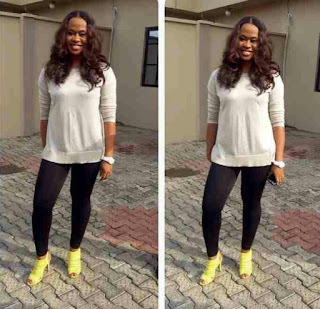 What do you think hinders ladies from living up to their full potential in life? Process! We are very scared of going through the process, we want everything sharp sharp. When it's too hard for us, we want someone else to make it easy for us. We don't want to go into the what that it takes to live a truly fulfilled life which is self-examination. We want to marry a good man without wanting to make the effort to become good women ourselves. So that process of becoming, that we are so scared to undertake is the reason why many of us are not living full lives. If each and every woman engage actively consciously in knowing who they are and who they are designed to be and living out their lives in service of that purpose discovered, a lot of us would be living more fulfilled lives with much more joy, happiness, less domestic violence, less suicide occurrences, less depression, less mental health cares. Our fear of engaging in the process of becoming is the number 1 reason why we are living less fulfilled lives as women. Lastly, what advice would you give to a broken woman out there, who is lost, shattered and confused about her life right now, who doesn't feel loved enough, who isn't even confident about herself and what God has called her to be? What would you have her do? Process! One day God had told me to do something and I was feeling so bad that I wasn't doing it, I felt like I was failing Him and I kept failing at it and still today I'm failing at it, but not as bad as when He first gave me the assignment. 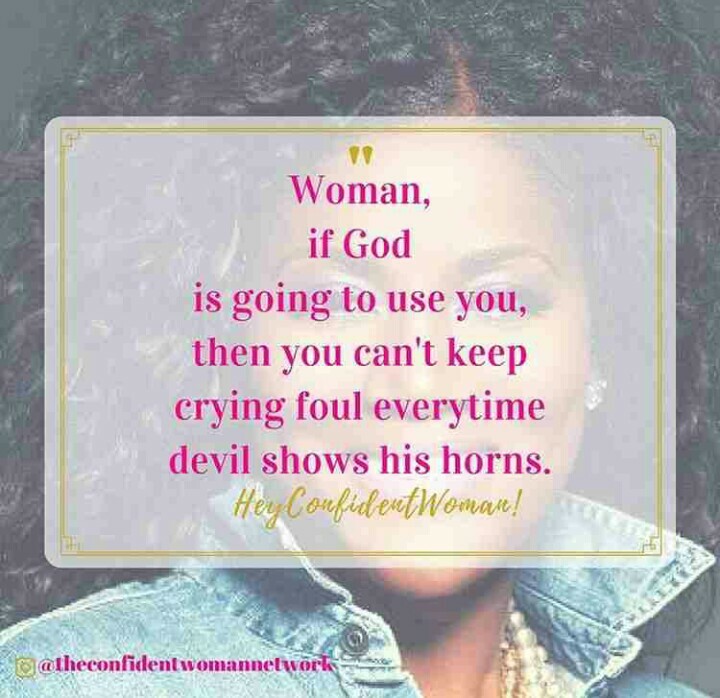 Running The Confident Woman Network is a God assignment and I fail at it daily, trust me. There is so much work that it entails that sometimes I'm so tired to put in the work because I have so many other things in my life going on, but does God not know that other things are going on in my life? Yes He does! That's why one day He told me, I was having devotion with Him and I was crying, just talking to Him, how much of a failure I am, how I feel so bad that I can never please Him and He said; Chizobam, if you came into this vision I have given you knowing everything that you're supposed to know, will I not be scared? I said what do you mean God? Then He said, 'I alone I am the all knowing, I alone, I alone knows everything that is to be because everything that comes to be comes to be because of me. I am the reason for everything that it is'. So if you came into this vision of the confident woman knowing everything that you're supposed to do, all at once, to make it good, to make it successful. Would that not make me and you mate? I said yes! So He said, but I am not your mate, and I said Yes, thankfully. God you are not my mate! Because that means I will always have somewhere to run to, someone who will always help me get it right and that person is you. He said; Chizobam, the fact that you failed at certain things doesn't make you a failure. Failure is so final and I will never put that on you! He now reminded me of His word that said; 'my right hand will uphold you, you will stumble but you will not fall'. And so He said, you need to be kind to yourself, understand days will come when you will fail at something or the other and be prepared for that failure, and embrace yourself in that failure and love yourself right back to the place of success. "Embrace yourself in that failure and love yourself right back to the place of success." You cannot attain success hating yourself! You have to embrace the errors, the mistakes and learn from them. It's that knowledge you gather from your mistakes that skyrockets you up to the place of success. He also reminded me that, 'He will take me up from the dunghill and place me in the seat of Princes'. There is also a part in 2 Kings that says, the Lord delights to see the plumb line in your hands (2 Kings 21:13, Zechariah 2:1-2, Isaiah 34:11, Amos 7:7-8). So He delights to see us in our little beginnings and the bible said; 'Do not despise thy little beginnings'. So for any woman who wants to do anything for God or anything for anyone, must first understand process and then we need to show up for that process. We need to say, present sir for that process! Nobody is going anywhere in life without understanding that there is a process involved in going from who you are to who you are to become. WOW!!! It's a wrap! Thank you so much for taking out time to be here! NDB loves you! You can find out more about her or connect with her on Instagram: @theconfidentwomannetwork. And If you would love to see more of these on the blog, kindly show some love. 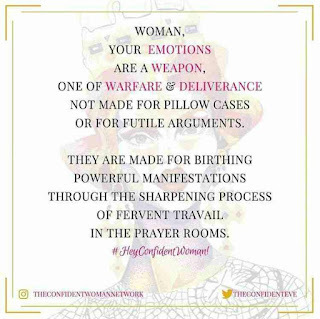 Follow @the21stcenturywoman_ on Instagram, kindly leave us a feedback, share this post with someone, and also share your thoughts with us below. You can also suggest who should be featured for upcoming sessions (women only). Thank you all for the love and support shown always! At a point while reading this, I was so teary, Chizobam you really are a strong woman. Thanks for being bold enough to share your story, a lot of us women just shut up like you said but we fail to realize the purpose in our pain. I love your faith and your courage. Thank you! So true dear, we all have something to learn from our experiences, a story to tell. And as women we can help other women avoid what we went through by shinning the light or showing others the light. Thanks for reading! Kudos Naomi!!! You nailed it again, so inspired by this feature. Where do you get your inspiration from...I seriously need to meet with you one of these days and take notes. Well done! If you had read the idea behind the series, you probably should have known why. Thanks all the same! A friend just shared this with me and I'm blessed and touched in no small way. I have actually been feeling out of place, broken, and down but this just encouraged me. Thank you NDB! Thanks for the support always darling!